A few nights ago, after a hard day at work, I decompressed by visiting some of my favorite blogs. Whilst doing so, I came across a post that is a goodie and must be shared. 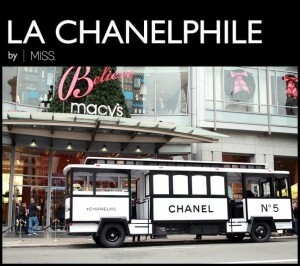 The blog is called La Chanelphile. Yep, that’s right, the blog is about all things Chanel. 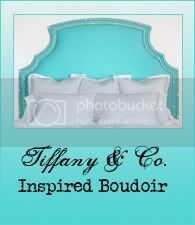 If you’ve followed My Little Boudoir very long, you will know that I, too, love all things Chanel. I also have an “All Things Chanel” board on Pinterest. Ok…ok…you get the point. 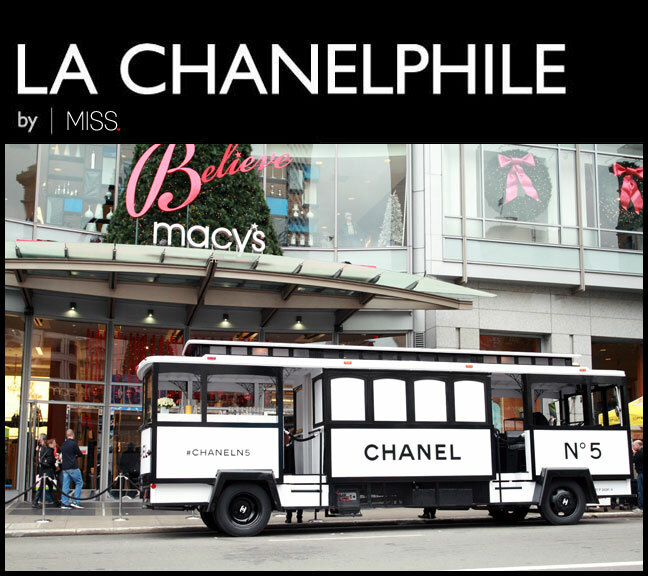 So, here it is…a real San Francisco treat…a Chanel trolley, complete with tweed upholstery and a Chanel N5 exhibit. Here is the glorious trolley. To see the rest of the photos and to hear about Gabriella’s experience, you’ll need to check out her entire post by visiting La Chanelphile.